This entry was posted in Writing Competition and tagged nonfiction, poetry, prize on September 22, 2016 by Jody R. Rosen. If you have a Twitter account, please consider tweeting about your experience at tonight’s Literary Arts Festival. 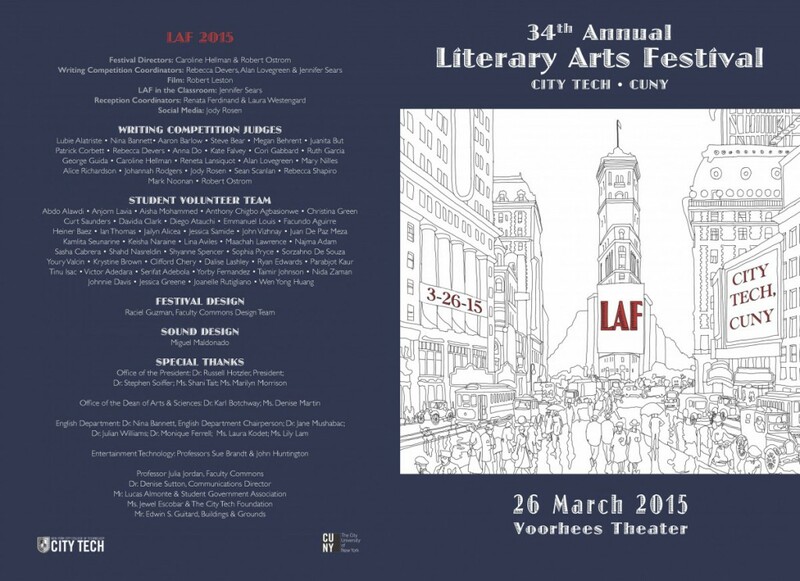 You can use the hashtag #LAF15, or #DinawMengestu more generally, or mention our Twitter handle, @CityTechLitFest. Not yet comfortable live-tweeting? Follow along by reading the #LAF15 tweets! Let’s share with the larger community the experience of participating in the Literary Arts Festival! This entry was posted in Announcements, LAF2015 and tagged #LAF15 on March 26, 2015 by Jody R. Rosen. Where will you be this Thursday? This entry was posted in LAF2015 and tagged #LAF15, Dinaw Mengetu, events, speakers on March 24, 2015 by Jody R. Rosen. After all your brainstorming and drafting, writing and revising, today is the last day to submit that piece you’ve been polishing for the writing competition! Submissions are due by midnight tonight. Don’t forget to send your work to CityTechLAF (at) gmail (dot) com. This entry was posted in LAF2015, Writing Competition and tagged #LAF15, call for submissions, writing on March 2, 2015 by Jody R. Rosen. Did you hear? Dinaw Mengestu @ LAF! The Literary Arts Festival is quickly approaching–soon we’ll get a countdown clock for the writing competition and for the festival itself. In canse you haven’t already heard, Dinaw Mengestu will be headlining this year’s festival! “A narrator provides an intimate account of his immigrant parents’ journey in the U.S.
Dinaw Mengestu’s “How to Read the Air” opens audaciously — the unnamed narrator writes of his parents with impossible intimacy. He knows what his mother thinks as she stands before a mirror a year before he is born, what she hears in the middle of the night, what she feels when his father’s breath touches her neck. This is, of course, the project of fiction — the full imagining, the stretch of empathy — but it is notable that this story is not simply told, but told by her son. That son, Jonas, is 30, trying to understand his own failed marriage through the lens of his parents’. He follows the path of a road trip they took through America’s heartland as recent African immigrants; his story and theirs alternate chapters. Always, though, it is clear that Jonas is doing the telling. This entry was posted in Announcements, LAF2015 and tagged #LAF15, Dinaw Mengetu on February 11, 2015 by Jody R. Rosen. You’ve eagerly anticipated this announcement: the date of the next Literary Arts Festival! 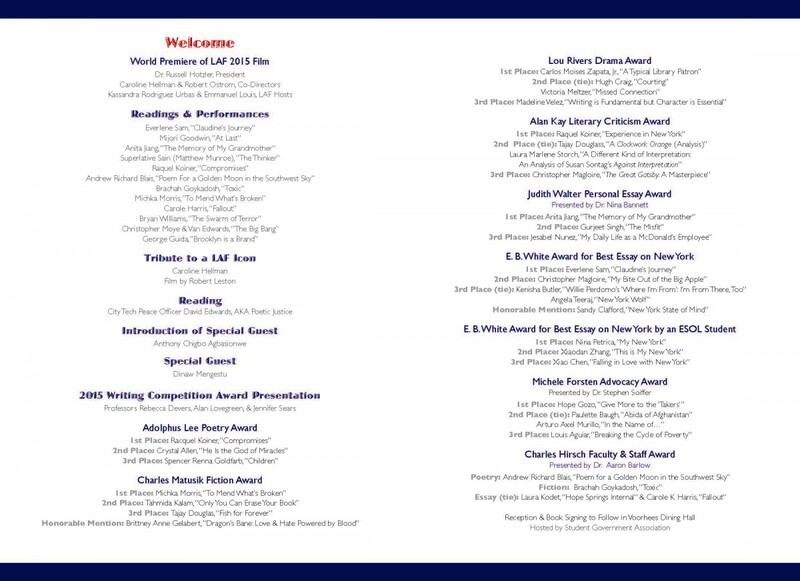 The 2015 Literary Arts Festival will be held on Thursday, March 26th! Save the date! Spread the word! Tell your friends and classmates! Get ready! This entry was posted in Announcements, LAF2015 and tagged #LAF15 on November 4, 2014 by Jody R. Rosen. 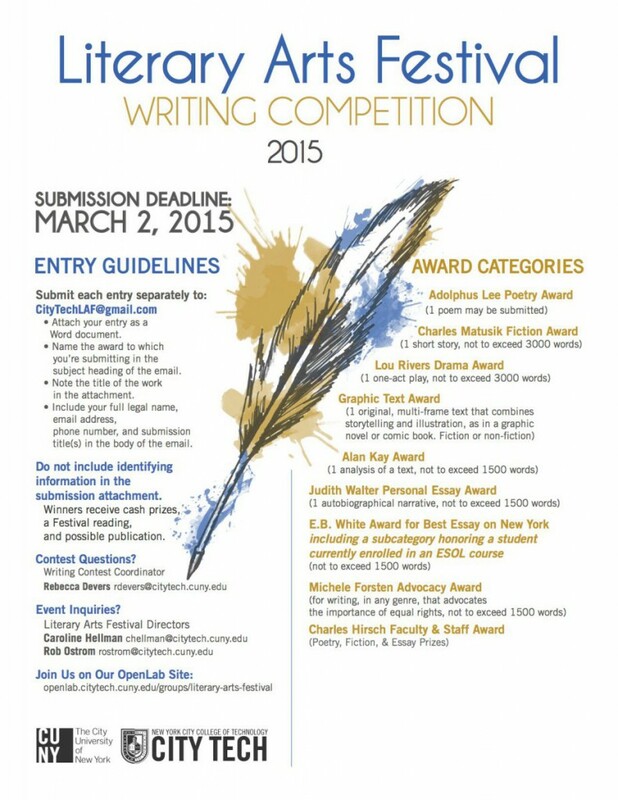 Announcing the 2014-2015 Writing Competition! This entry was posted in Announcements, Writing Competition and tagged call for submissions, student opportunities on October 14, 2014 by Jody R. Rosen. Can’t wait until next Thursday? Watch some video of Cornelius Eady now! This entry was posted in LAF 2014 and tagged Cornelius Eady, videos on April 1, 2014 by Jody R. Rosen. Where are you finding your samples of Cornelius Eady’s fantastic writing? Let’s crowdsource the effort and share what we’ve found by commenting on this post. Just click above where it says how many replies there are, and add yours. This entry was posted in LAF 2014 and tagged Cornelius Eady, crowdsourcing on March 31, 2014 by Jody R. Rosen. Your wishes were granted: the Writing Competition deadline was extended until today! Just an hour remains for you to submit your work. 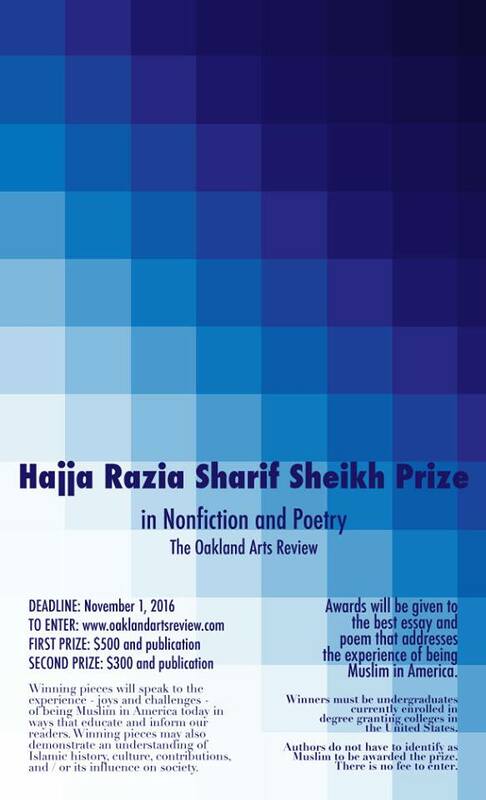 Be sure to follow the instructions and submit your best work in the appropriate category. Best of luck! This entry was posted in LAF 2014, Writing Competition and tagged writing on March 24, 2014 by Jody R. Rosen.